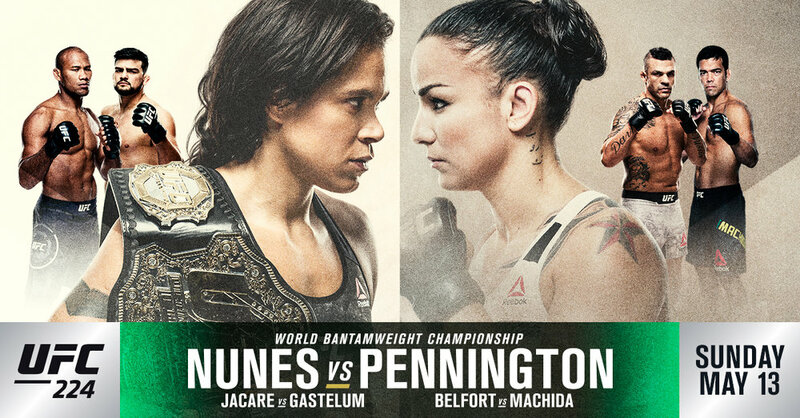 Women’s Bantamweight champion Amanda Nunes will defend her strap against Raquel Pennington on May 13th at UFC 224 in Rio de Janeiro, Brazil. Amanda “Lioness” Nunes hasn’t competed since September of 2017 after she outscored Valentina Shevchenko at UFC 215. Prior to that, Nunes had an even better showing by knocking out former division queen Ronda Rousey in under two minutes. As for Raquel “Rocky” Pennington, she fought her way up the 135-pound ladder by winning four in a row, and hasn’t tasted defeat since losing a close decision to another former champion, Holly Holm, way back in 2015.